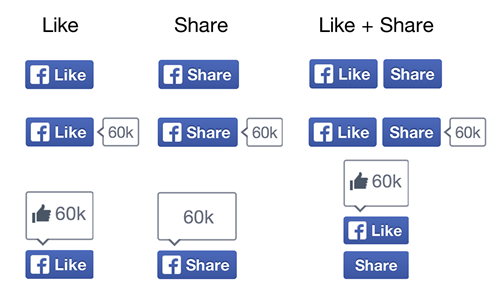 Facebook introduces a new design for both like and share buttons to help people in sharing the content globally. If you are using a like and share button in your website then it will be automatically upgraded to the new like button. Your new like and share buttons will look like this. Like and share button are really a important part of facebook it helps the people in sharing the content and news with other members . According to Facebook, Like and Share buttons are viewed more than 22 billion times a day and have a home on more than 7.5 million websites. Facebook’s Ray C had said on Facebook developers blog that “we already seeing a favorable increase in Likes and Shares with the new design and will be rolling these buttons out to everyone in the coming weeks” So, If you are still not using like and sharing button on your website or blog then go through and add these buttons to increase the referral traffic of your website.